Naomi Osaka did her customary Australian Open Champion’s photoshoot in a less customary way on Sunday at the Brighton Beach in Melbourne. Osaka hold the Stephanie Arkhurst trophy like a new born baby. Osaka pops a bottle of champagne in customary manner. The 21-year-old Haitian-Japanese made history on Saturday, becoming the first Japanese woman to win two Grand Slam titles in the Ope era, the US Open and the Australian Open. 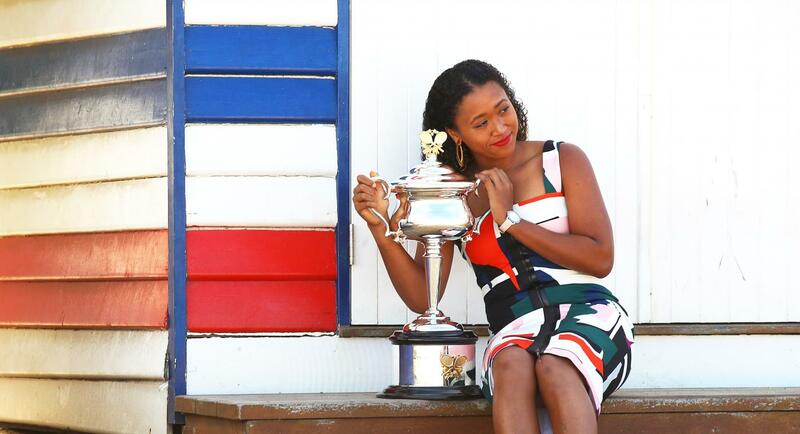 For the trophy photo shoot, Naomi Osaka was offered a stylist and makeup artist but she declined and opted for a dress she already had, going further to do her own makeup. And she came out like a stunning champion that she is!